Communicating in confidence is not just for governments or industries; it is for everyone concerned with privacy. Whether you are a private person, world traveler, celebrity or royalty, you can secure your communications with TCC's Secure Communications products. Our Secure Communication devices for private and personal use include secure telephones, portable telephone encryption, secure mobile phone communications, and secure fax devices. TCC's broad secure communications network encryption portfolio, coupled with our custom design, development and services offerings, provides solutions to meet broad secure communications and voice, data and video network encryption requirements from military, all levels of government and public safety, to industrial and corporate enterprise applications. 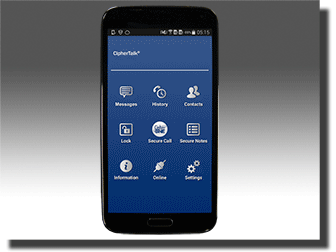 CipherTalk secure mobile phone provides end-to-end encryption and anonymous communications of mobile voice and text that you can trust. 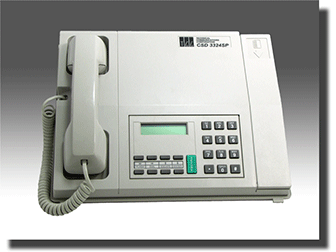 CSD 3324 SP secure voice/fax has AES-256 and public key. CSD 3324 SP Secure Voice Telephone and Fax Encryption provides integrated voice and fax secure communications for mission-critical environments. CSD 3324 SPF Secure Fax Encryption connects to any Group 3 fax machine for government-level transmission protection.